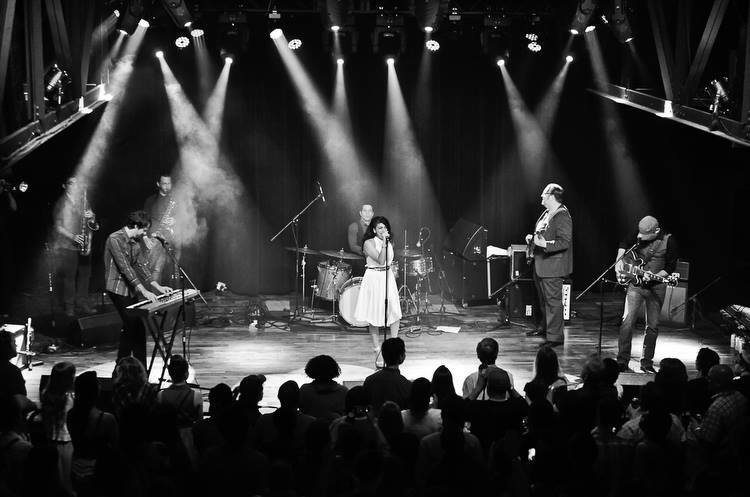 Join us at the High on November 20 for Friday Night Music Remix featuring Ruby Velle & The Soulphonics and Oryx & Crake, presented in cooperation with BMI! Oryx & Crake will perform from 6 to 8 p.m., followed by Ruby Velle and the Soulphonics from 8 to 10 p.m.
Friday Night Music Remix is FREE with half-price Museum admission and FREE for members. There is no reserved seating. Seating is limited and available for persons with disabilities. Standing room plentiful. Join us for Drawing in the Galleries during each Friday Night Music Remix from 6 to 9 p.m. Drop in and sketch live, clothed models in our galleries. All ranges of drawing experience are welcome, including guests who are picking up a sketchbook for the first time!